Netflix is great. But sometimes I feel like I'm just using it as another excuse to eat snacks in bed. One day, someone is going to ask me for a Netflix recommendation and I'm going to inadvertently say, "Well, my favorite thing on Netflix right now is where I pause what I'm watching because the crunching is too loud, and I just stare at my reflection eating chips." Says Sandoval: While the allegory in the dark, satirical show "Black Mirror" reveals many terrifying potentialities about humanity, I find the literal black mirror of my laptop screen shows me things that are much scarier. You probably know Sky Sandoval best as the co-captain of the ultimate frisbee B-team for Montpelier High School in 2012, or as a Vermont state finalist for the Boys & Girls Club's "Youth of the Year" award in 2011. Since then, however, he's been active in the Burlington comedy scene, and has opened for national acts such as Carly Aquilino and Steve Byrne. He is currently in a competition with a friend to see who can reach 100 Twitter followers first. The winner gets a taquito. Please follow him here. 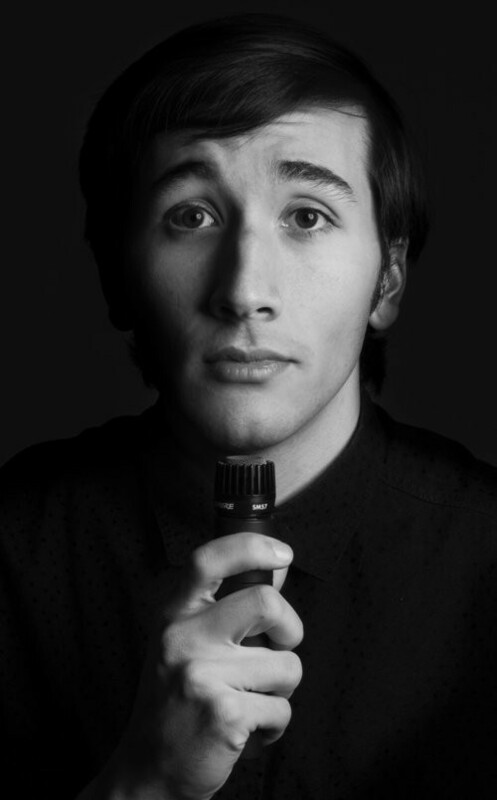 Sandoval performs regularly at comedy open mics and showcases throughout the Burlington area.